Poop BustersTM was established in 1985 by Dan and Debbie Frazier. We are now entering our 32nd year in business and continue to be family owned and operated business with the entire family pitching in. Being dog lovers and owners Debbie and Dan knew very well that scooping the poop was a job that had to be done and was a task that was sometimes last on a long list of things to do and before they knew it the yard would be a mess. And so it began in our own backyard, then on to a neighbor and then another and another. Now we have made a successful business out of scooping poop! We are blessed to live in such a dog friendly area! With the many dog parks and fun activities for both pet and owner we have made life long friendships and are very active in our community happenings. Because of the love pets and people Poop BustersTM stands out from the other scooping services! We offer excellent prices, reliability and an overall friendliness. Poop BustersTM 1st priority is loving dogs! 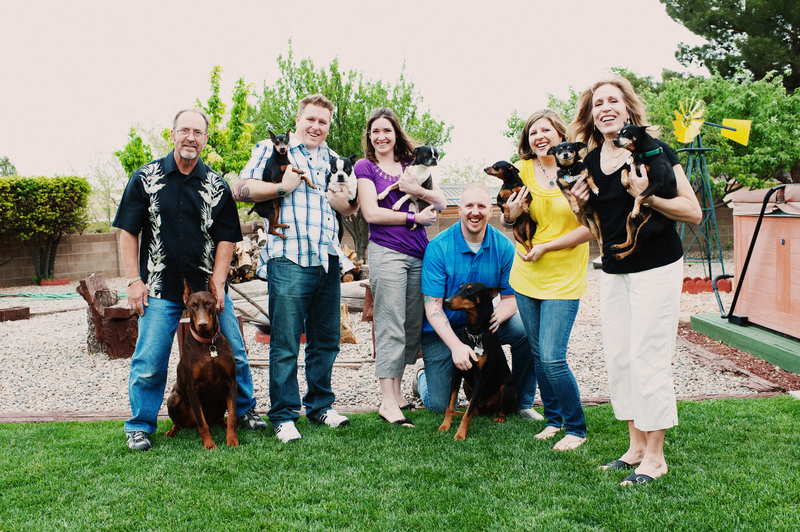 We all here grow to love the dogs and people we see each week and take the personal aspect of our jobs very seriously. Over the course of 30+ years we have seen dogs from puppy to old age, rejoiced at a new member of the family and cry with the families that lose them as they go to doggie heaven. Being a local family business is extremely rewarding and we are thankful to each and every client who has become, well, like family! Be blessed and we look forward to many more years serving the Greater ABQ Area! The Poop Busters mission: To provide a friendly reliable service that makes dog owners lives easier and dogs lives happier! Enjoy your yard and pet, let us worry about the mess!! !